Banned Apparel is on top of its game this season with its Bones and Fire Long Line Jacket designed for today’s bold, stylish, outgoing and confident lady. All thanks to Egg n Chips Clothing, you sure can’t miss out of this great opportunity to stand out through this well-designed jacket. The Bones and Fire jacket by Banned Apparel offer you a luxurious black, long line jacket that helps gives you a sense of seriousness and confidence while at the same time projecting your lovely looks whether dark or light complexioned. Banned Apparel’s Bones and Fire Jacket indeed offer you a white bone print design of one of the highest quality ever. Bone prints concept for clothing line is always a statement that only the sassy, bold and daring can go for it. Skeleton prints are an age-long but well-appreciated print concept that everyone can relate and understand its meaning. The boldness to face what life throws at you, the courage to dare great things even till death and an understanding that as long as you are alive, you can confront anything and succeed if you will. But if you aren’t bold enough, a trial of the Bones and Fire jacket will show you just how much you have got inside when you place your order now at the Egg n Chips Clothing, London. The Banned Apparel Bones and Fire jacket comes in various sizes from both small to extra-large sizes, so no one feels out of place when looking at ordering from the Egg n Chips Clothing, London. Bones and Fire Long Line Jacket by Banned Apparel is a careful thought of design made from 97% cotton and 3% elastane; a guarantee of durability and a long lasting washing experience without the fabric giving way or losing its fine print anytime soon. 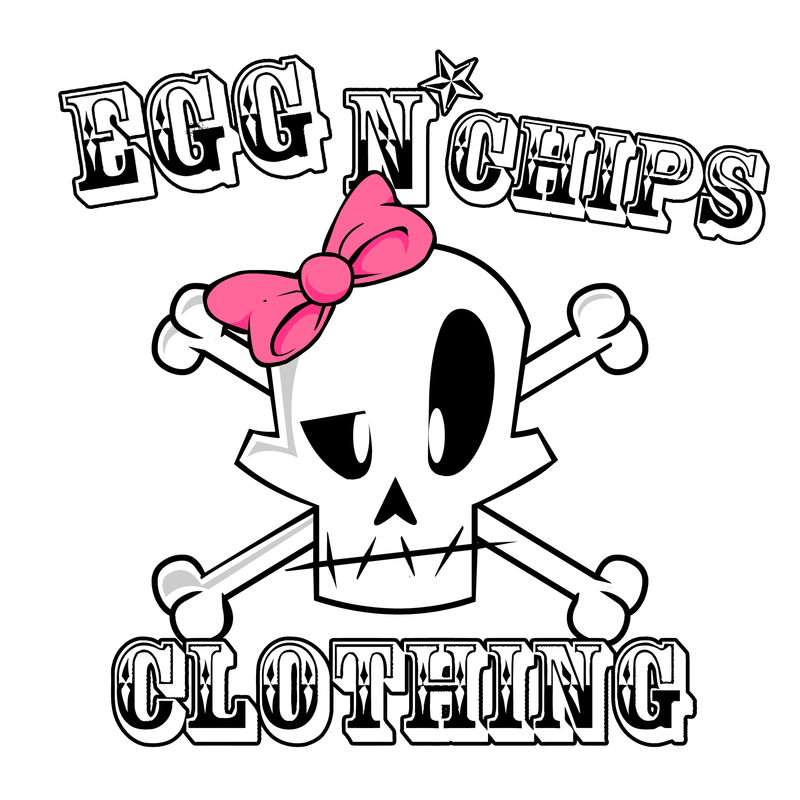 Every purchase at Egg n Chips Clothing, London comes with 14 days Money-Back-Guarantee all in line with its return policy.